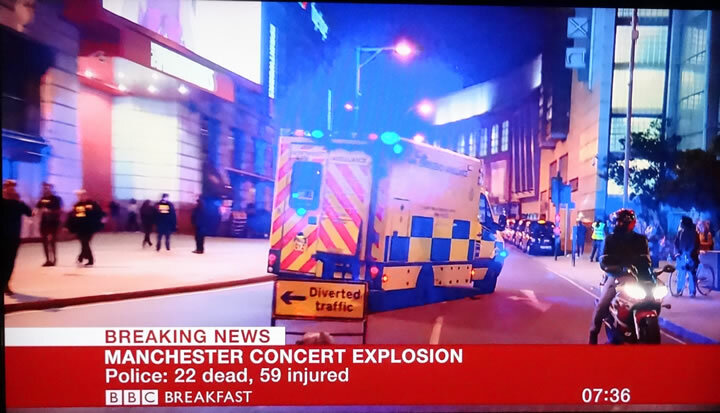 Whilst it is very early in the investigation, however the police have already announced that it was a suicide attack, which means it was very unlikely to be a lone wolf attack given the sophistication of such a device which has all of the hallmarks of an Islamic State planned or sponsored terrorist attack aimed at influencing the outcome of the forthcoming UK General Election. The objective being to drive a further wedge between Britain's muslim communities and the rest of the population as a means of acting as a recruiting Sergeant for their Islamic fundamentalist cause. Very unfortunately, as the suicide bomb attack is unlikely to be a lone wolf attack, unlike the London knife attack. Which means that there is an organisation behind the attack who have likely planned a campaign in the countdown to the June 8th vote. Therefore the risk of another terror attack during the next 15 days is extremely high. How will the Manchester terror attack impact the election? With the election less than 3 weeks away the horrific bomb attack will push wavering waters more towards a hard line result whilst normally this would benefits the likes of the BNP and UKIP. However given the dynamics of the Conservatives poll lead then ultimately this will benefit the Conservatives to the detriment of ALL of the left of centre parties. Though, the likes of Labour were already facing an election blood bath so it is unlikely to change much in that respect. Whilst it could have an impact on the SNP who may lose 1 or 2 more seats to the Tories in Scotland. 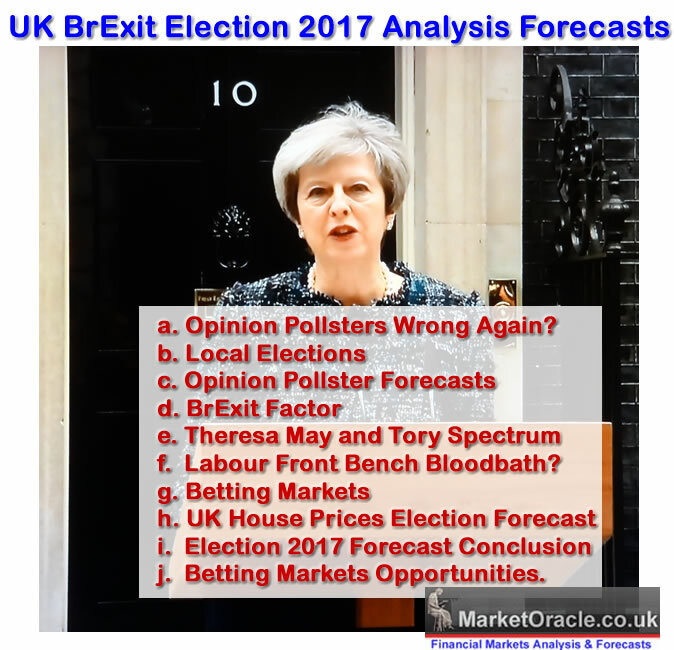 My series of articles and videos in the UK brExit general election series will seek to conclude in a forecast conclusion that aims to be as accurate as the preceding forecasts were for Trump 2016, EU Referendum, 2016 and the General Election forecast of 2015. So ensure you are subscribed to my always free newsletter and to our youtube channel for videos as we countdown to the BrExit General Election. 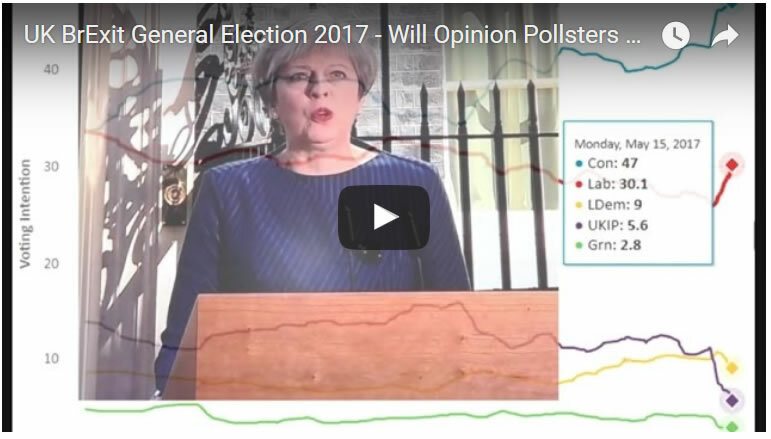 And see my latest video for if THIS TIME the pollsters will finally going to get an election RIGHT, or whether they are going to LOSE for the 6th year? Terror Attack is a Red Herring!